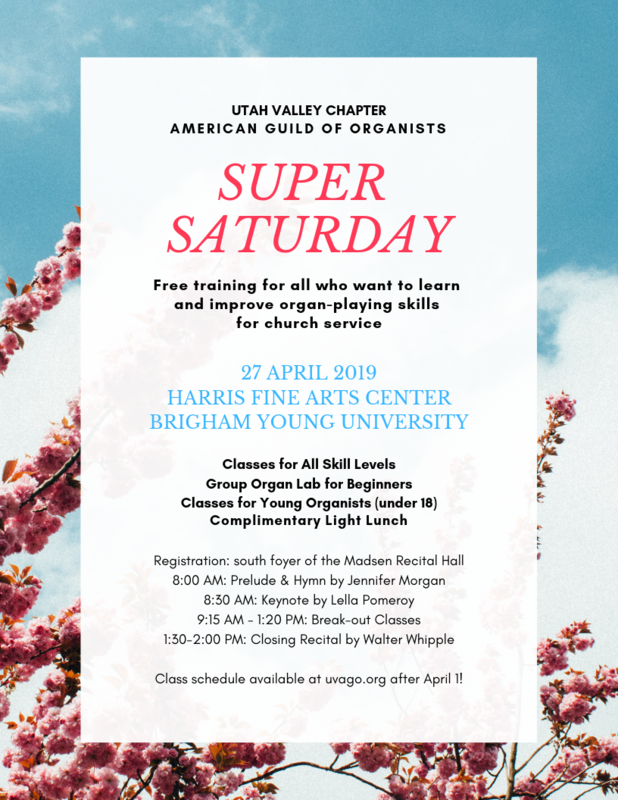 Super Saturday is our chapter’s gift to the growing community of church organists in Utah Valley and beyond. 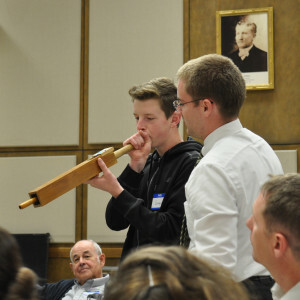 This free training day, held on the campus of Brigham Young University in Provo, Utah, in the Harris Fine Arts Center, is open to the public to learn more about the organ and to be inspired to improve organ-playing skills for church service. If you are a pianist wishing to try the organ or desire to meet with others who share your love for music, this workshop is also for you! and a complimentary lunch is provided. NOTE: You may sign up for a few classes with limited space (see below). Download the Schedule for Breakout Classes. Sign up for free group organ instruction in the Organ Lab, room E354. Two sessions will be taught by a qualified instructor: Manual Technique and Pedal Technique. Space is limited to 12 participants in each session. Use the same online signup form for the tour of the BYU Centennial Carillon Bell Tower (for youth 12-18). Come and learn about how carillons work and try your hands (and feet) at playing. Space is limited to 12 youth participants. Two session are offered. Share the Workshop Flyer with organists, pianists, and piano students. Please contact us at: gro.o1556214279gavu@1556214279ofni1556214279. We will be happy to assist you.